To all GeGebra fans out there, it is time to celebrate! The International GeoGebra Institute has currently released GeoGebra tablet apps for three major platforms. This includes the GeoGebra tablet apps for iPad, Android, and Windows 8. As of this writing, these versions, except the iPad version, can now be downloaded at the GeoGebra download page. For questions and suggestions, please visit the GeoGebra Tablet App forum. In addition, the International GeoGebra Institute is currently working on the upcoming version of GeoGebra which is GeoGebra 4.4. 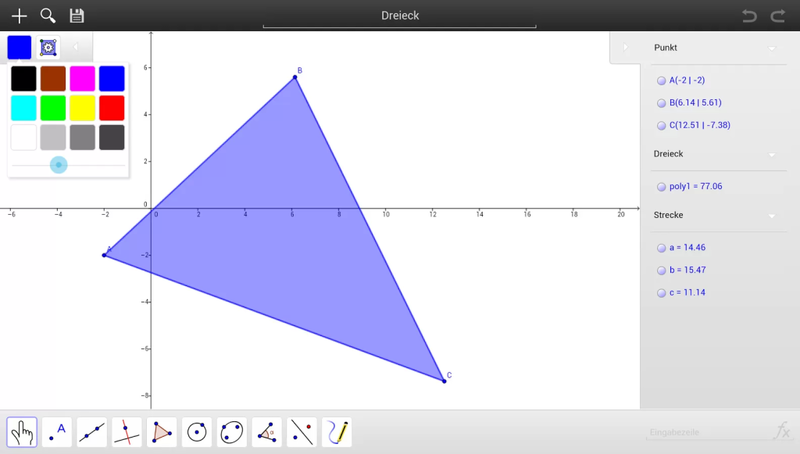 GeoGebra is an amazing free dynamic mathematics software. You can download it at GeoGebra’s official webpage and learn how to use it at Math and Multimedia’s GeoGebra page. It contains more than 50 GeoGebra Tutorials from basic to advanced.